San Francisco isn’t Italy or New York or Chicago, but San Francisco knows pizza. Our melting pot city has brought together all of the dish’s famous styles with the Northern California ideals of fresh food and sustainability. As a result, local chefs, makers and restaurateurs have crafted some of the best pies in the country and even in the world. 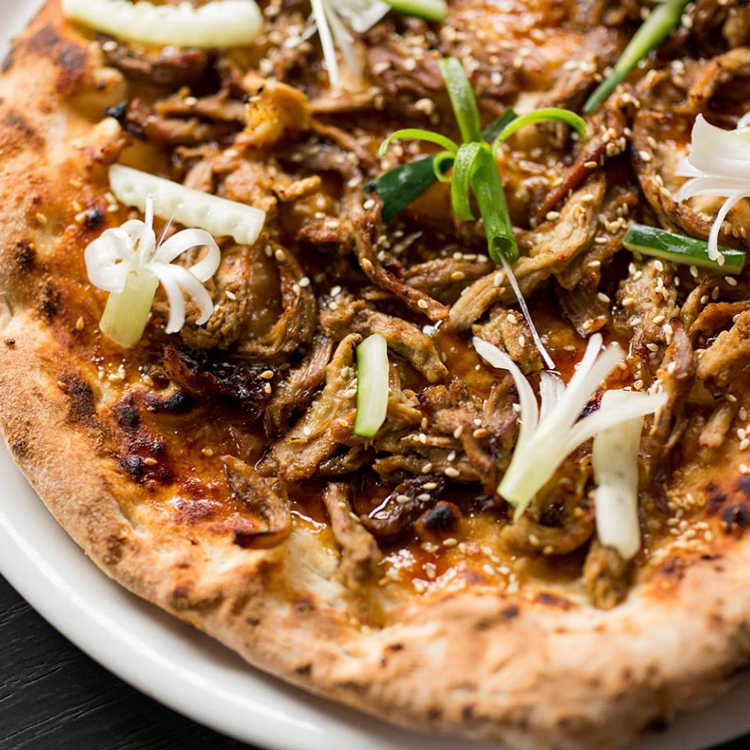 Next time you get a pizza craving, why not satisfy it with the best in the world, right? Or, at least, with the best in San Francisco. Start with our pizza guide for a Neapolitan, Chicago-style, and East Coast pizza trip you’ll want to embark on again and again. And you never have to leave the city! As North Beach’s landmark pizzeria, Tommaso’s undoubtedly serves up some of the best pizza in San Francisco. When the restaurant opened in 1935 as Lupo’s, they had the first wood-fired brick pizza oven on the West Coast. And through the decades, Tommaso’s has remained a family-owned restaurant — now operated by the Crotti family — and still serves the original Cantolupo family recipes. 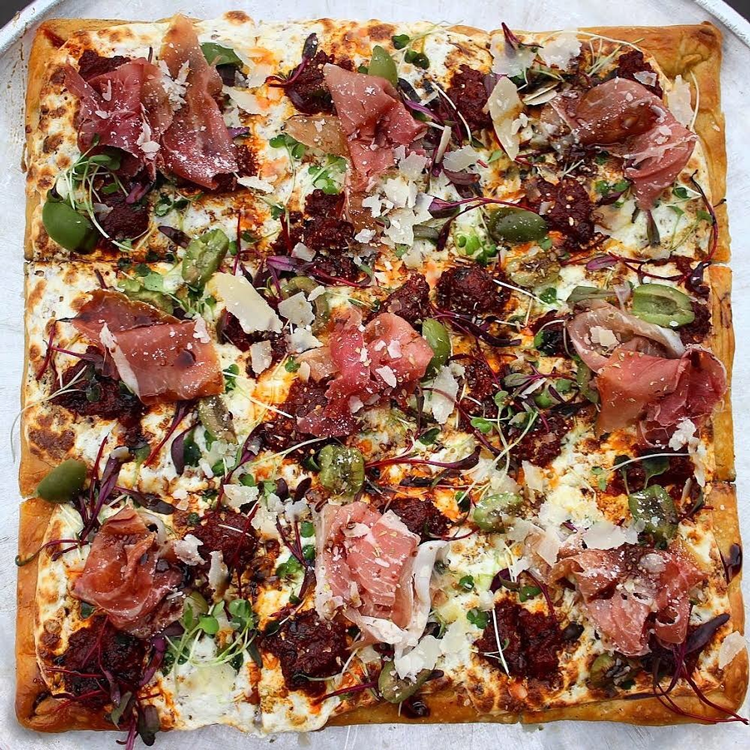 Still new to the San Francisco pizza scene, Il Casaro Pizzeria opened its doors in 2014 and is refining that scene through some of the purest and most exclusive ingredients. Their Neapolitan-style recipe consists of Caputo flour imported from Naples and San Marzano tomatoes with Protected Designation of Origin certification — a tomato which can only be found in 41 Italian municipalities in the province of Naples! All of this is melted together inside a wood burning oven specially imported from Naples. The Pizzeria Delfina story begins with the James Beard Award-winning Delfina restaurant. The original pizzeria opened just next door as a passion project of owners Annie and Craig Stoll. Today, they’ve expanded to a total of three San Francisco locations, one in Palo Alto and one in Burlingame. Still family-owned and operated, they churn out farm-to-table pizzas and seasonally-inspired antipasti, piatti, beer and wine. Amongst owner, founder and chef Tony Gemignani’s countless pizza-related awards, he took home the title of World Champion Pizza Maker at the World Pizza Cup in 2007 in Naples, Italy. When he did, he was the first non-Neapolitan ever to do so and he brought home the Cirigliano Wood Burning oven which now produces the world-class pizzas of Tony’s Pizza Napoletana. Using authentic ingredients imported directly from Napoli, these pies are worth traveling for. So get here ASAP. Just two blocks away from Tony’s Pizza Napoletana, Capo’s is where Tony Gemignani celebrates Chicago-style pies. Served on four types of crust — deep dish, cast iron pan, stuffed and cracker thin — each style is made with Ceresota Flour from one of the oldest mills in Chicago. 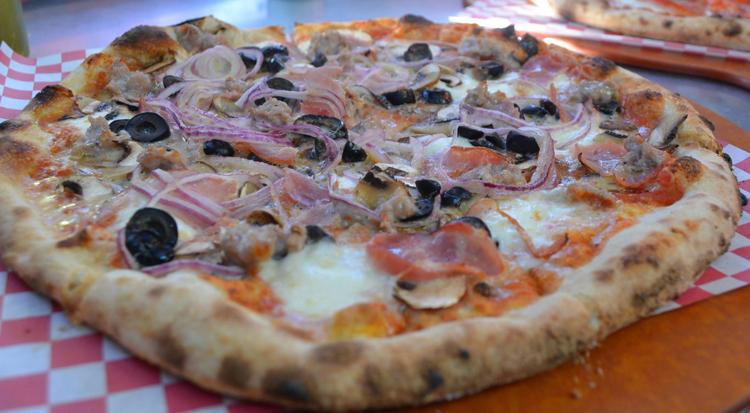 The famous Quattro Forni was inspired by one of Tony’s World Pizza Championship winning recipes, is cooked four different times and is limited to 20 orders per day. But don’t worry, there are plenty of other options on the menu. Del Popolo launched as a mobile pizzeria in 2012, churning out Neapolitan-inspired pizza from a glass-enclosed shipping container on a Freightliner truck. Inside the twenty-foot transatlantic shipping container, you’ll find a traditional, Italian-made, wood-fired oven and a full kitchen. But you can also find a full kitchen — as well as indoor seating and in impressive wine list — at the brick and mortar pizzeria in Nob Hill. The original Little Star Pizza opened in 2014 on Divisadero and, today, you can find their pies in the Mission and in Albany as well as at The Star locations in Oakland and Alameda. From the local produce that goes into every pie to the environmentally friendly practices inside their buildings, Little Star has been driven by community since the beginning. 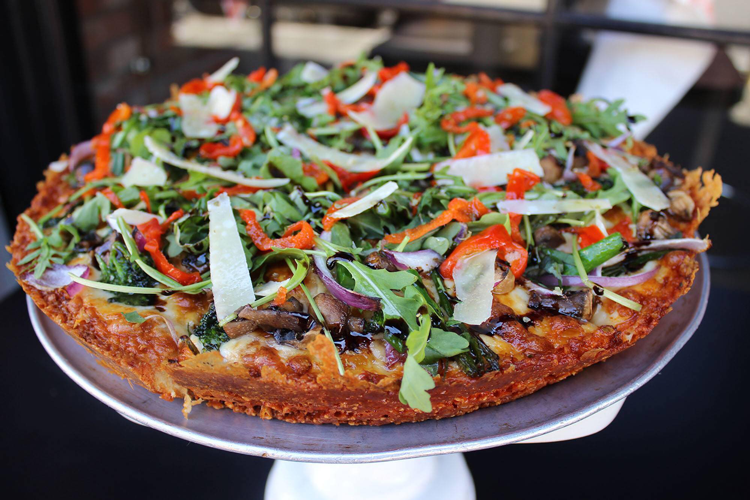 Stop in to find out why this delectable pizza has a cult following amongst Bay Area pizza lovers. The original Golden Boy Pizza was opened in North Beach in 1978 by 19-year-old Peter Sodini. Now, 40 years later, the pizzeria is operated by Peter’s sons and they’re still dishing out some of the most beloved slices in the city. Offered by the slice or by the sheet, Golden Boy is one of the few places you’ll find square pies because, at Golden Boy, it’s hip to be square. And it’s also hip to satisfy your late night pizza cravings; this North Beach pizzeria is open until 2:30 a.m. on Friday and Saturday nights! The dining room at Mozzeria is built around the beautiful, 5,000 pound Stefano Ferrara oven which means you get to watch as your Neapolitan pizza is prepared and cooked. In 2016, the restaurant expanded to a mobile food truck and, today, the team is looking to expand as a national franchise. When you eat at any Mozzeria outpost, you get to enjoy one of San Francisco’s best pizzas and support a fully deaf-owned and operated business! Offering some of the city’s most exclusive and most talked about pies, Pizzetta 211 is a small, tightly-run restaurant with only four tables inside. The menu changes weekly to reflect seasonal ingredients and there will definitely be a wait if you want to dine in. However, you can usually order take-out in person or over the phone. So make the call and try this pizza for yourself. You’ll be glad you did. Chef and Owner Sharon Ardiana opened Gialina Pizzeria to commemorate her grandmother, Nonni Lina, and showcase the character, the hospitality and the food of her Italian family. The menu features Neapolitan-style pizzas, a roast of the day, fresh antipasti and salads and it’s built around seasonal ingredients sourced from local farms. The team’s second outpost, Ragazza in Lower Haight, is another must-visit destination for Italian food and Neapolitan pizza. This landmark spot in Fisherman’s Wharf has only been in the neighborhood since 2012, but their pizza garden has become an instant classic and a must-visit for pizza connoisseurs. The Neapolitan-inspired pies are made inside a big, red trailer that houses a Mugnaini wood-fired oven. While eating, diners get to enjoy the sights and sounds of Fisherman’s Wharf from the heated pizza garden enclosed by arched trellises for a cozy atmosphere. Casey’s Pizza was the Bay Area’s first pizza truck and featured a 700F Marsal deck oven with a two-inch firebrick hearth. Back then, the team slung handcrafted pies made to order using only local ingredients and scratch-made, organic dough. Today, they do exactly the same, but they’re dishing up their outstanding New York-style pies from a brick and mortar location in Mission Bay! Serving as a complement to Chef Michael Tusk’s fine dining restaurant, Quince, Cotogna offers a more relaxed setting for rustic Italian cuisine. The daily-changing menu includes spit-roasted or grilled meats and fish, wood-oven pizzas and house-made pasta. And you can watch it all being prepared in the open-air kitchen which proudly showcases the white, wood-fired brick oven. 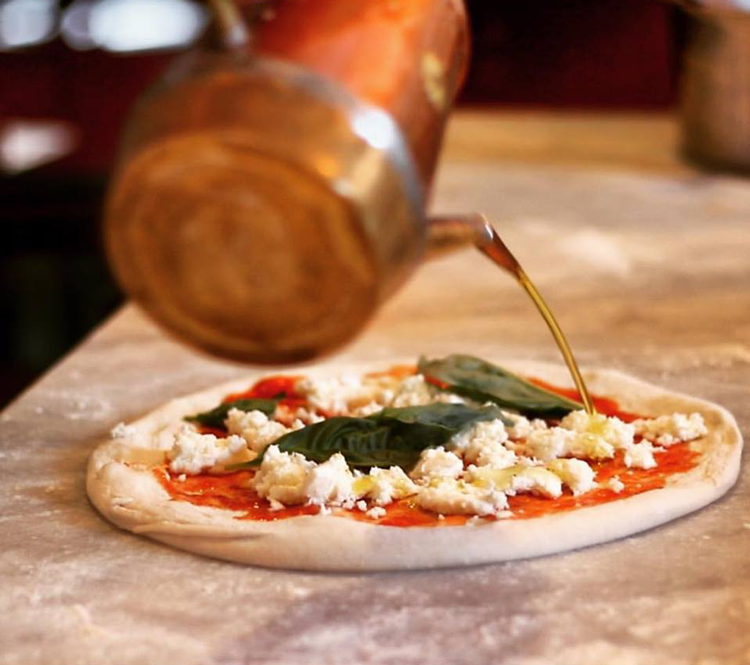 Next time you want a sit-down meal and an outstanding pizza, make a stop at Cotogna! When Jersey opened in SoMa in 2015, East Coast transplants and pizza lovers across the Bay Area celebrated. Mitchell and Steven Rosenthal have brought Jersey-style pies to San Francisco. But that’s not all this Italian eatery offers. Jersey combines a Jersey childhood with the Rosenthal’s travels throughout Italy and the ideals of Northern California cuisine. In short, it’s one-of-a-kind and you need to try it. If you know someone who lives in Russian Hill, you’ve heard the name Za Pizza. This neighborhood destination has crafted the perfect cornmeal crust and tops each one with fresh, classic toppings like homemade pesto, sundried tomatoes, roasted chicken and more. The pies are named after famous artists and the walls are adorned in hand-drawn art created by diners while they eat. Stop in to find your new favorite pizza and add your art to the wall! Are you a pizza expert? 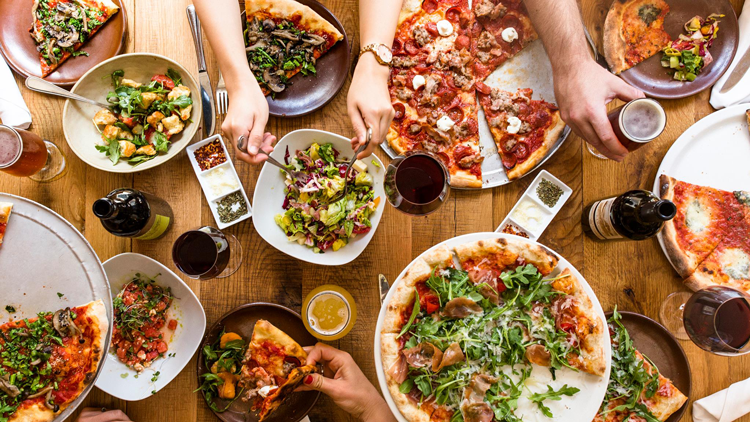 We can’t cover all the amazing San Francisco pizzas in one blog post, so tell us about your favorite local pizzerias in the comments below.